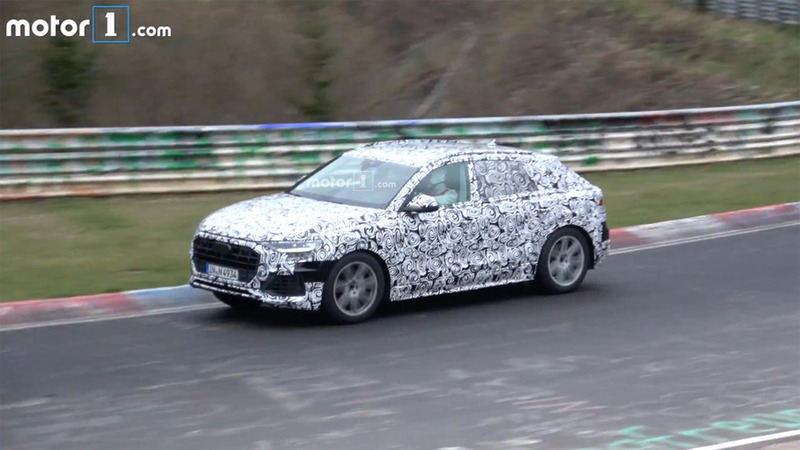 The stylish and luxurious Audi Q8 continues to lap the Nürburgring during its development, and this new spy video lets us check out the crossover in motion. The driver doesn't seem too happy about being on film, and the CUV hustles on the way from the engineering center to the track. 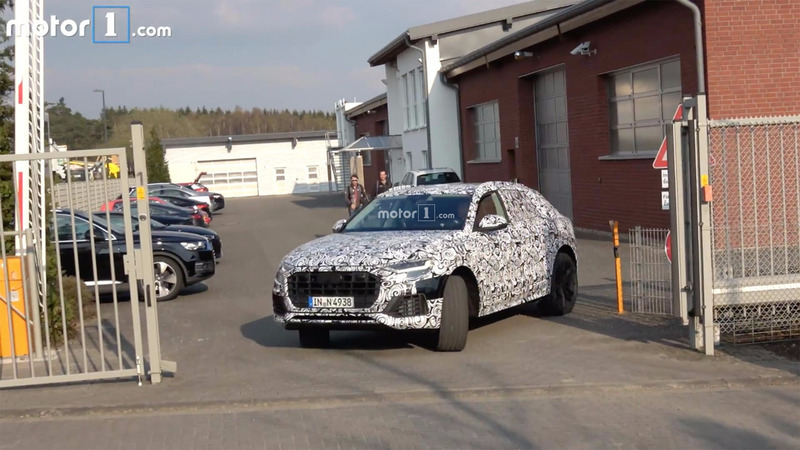 This Q8 test mule wears the same license plate as the vehicle in other recent spy photos, but seeing vehicle on video provides a better context for its size. Audi continues to dress the vehicle completely in camouflage, but note the covered sensors at the front and corners. The company appears to be engineering the latest safety assist systems into this model from the very start. 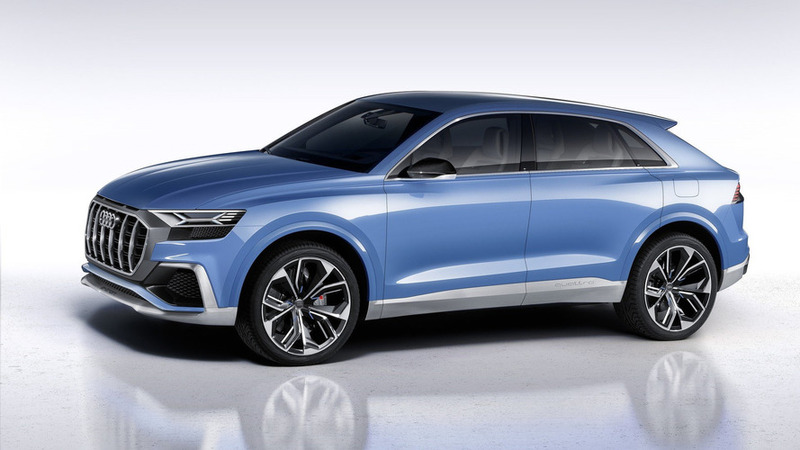 Audi previewed the Q8 as a concept at the 2017 Detroit Auto Show and updated the look a few months later for an RS version at the Geneva Motor Show. For the latter one, power came from a turbocharged 3.0-liter V6 with an electric compressor and mild hybrid. The result of this cutting-edge drivetrain was 476 horsepower (350 kilowatts) and 516 pound-feet (700 Newton-meters) of torque. The folks at the Four Rings claimed the big crossover would reach 62 miles per hour (100 kilometers per hour) in 4.7 seconds and a top speed of 171 mph (275 kph). The recent spy images indicate the production Q8 looks a lot like the concept. This test mule still has some non-production components, like the grille, but the similarities in the general silhouette are hard to miss. It’s also quite similar to our recent renderings. Audi has already confirmed that the production Q8 begins assembly in Bratislava, Slovakia, in 2018. Once they arrive in showrooms, prices for the top versions would allegedly be around 100,000 euros ($107,000 at current rates).